OXFORD, Miss. – A $25,000 gift to the Department of Nutrition and Hospitality Management at the University of Mississippi will provide longtime support for facility upgrades, thanks to Jim and Kay Strong of Dallas, Texas. The couple has created an endowment named for their family business Strong Travel Services. A respected leader in the luxury travel industry, Strong Travel Services was established in 1975 as a corporate-based travel agency. The agency’s market focus shifted to the vacation traveler in the mid-90s, and now more than 40 staff members serve clients. 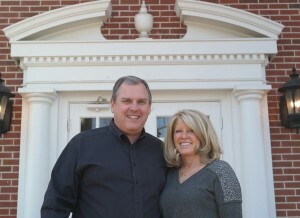 Jim and Kay Strong’s relationship with UM began in 2011 when their son James joined the UM student body and enrolled in the hospitality management program. He will be graduating in May. Students in the hospitality management program actively study many areas of the industry such as travel, food service and lodging. Students also gain hands-on experience at the Lenoir Dining, an education restaurant serving the public and operating within the department. Funds in the Strong Travel Services Endowment will be held permanently and invested, with annual income designated for use in the department’s renovations, upgrades and acquisitions in classrooms, labs and Lenoir Dining. Jim Strong remarked that the relationship between Strong Travel Services and NHM was only natural as both are dedicated to service. “We wanted to do something that supported this program, and we hope this endowment can grow over time with the help of Ole Miss and other people in the travel industry,” he said. Individuals and organizations interested in contributing to the endowment can send checks with the endowment noted in the memo line to the University of Mississippi Foundation, 406 University Ave., Oxford, MS 38677. For more information, contact Michael Upton, development director, at 662-915-3027 or mupton@olemiss.edu.